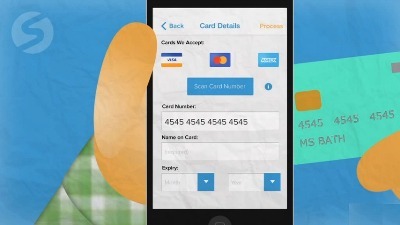 Taking Card Payments with No Card Reader—How Does It Work? One question that we get a lot about the SmartTrade app is a really simple one: how does it work? After years of using chip-and-PIN readers or mobile dongles, it’s no surprise that people find it a bit strange to take a card payment with no hardware. But it’s not as complex as you might think! First, let’s take a look at how a traditional credit card reader works. Every credit card has information encoded on the chip or magnetic stripe: things like your customer’s name, the credit card number, and the expiration date of the card (there’s actually other information that can be on there too, like a country code and some bank details). When you use a mobile credit card reader, the reader takes that information from the chip or the magnetic stripe and sends it off to a payment provider to be processed. Okay, that’s pretty easy to understand. But what about SmartTrade, which can take payments from credit and debit cards without any hardware? Actually, it’s simple. There are three things that are very important when taking a credit card payment: the customer’s credit card number, the expiration date on the card, and the card’s security code, or CVC. The app gets all of these in just a few quick steps. When you place a credit card under your phone’s camera, with the SmartTrade mobile payment app open, it uses optical character recognition (OCR) technology to read the card number and the expiration date directly from the card. In a nutshell, OCR ‘looks’ at the card and reads the numbers just like you would—but it can automatically enter the details right into the form on your mobile. 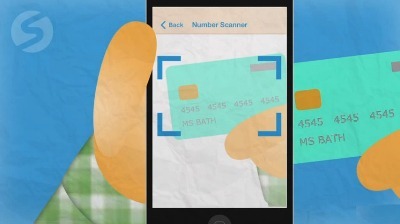 OCR lets you get the card number quickly, without having to type in all sixteen digits plus the expiry date. After the card number and date have been captured, the customer inputs their CVC using the on-screen keypad and taps ‘Process Now’. That’s it! The data is sent off to the payment provider, just like with a more traditional mobile credit card reader, and you’re on your way to getting paid. But the entire process is faster and easier because there’s no hardware and no need to tap in the credit card number. Want to find out about the other benefits of the app? Check out our full list of features. And if you’d like to see the app in action, send us an e-mail to set up a free demo!